Shuffle Tech's patented shuffling process mimics hand cutting, riffling, and stripping in 90 seconds or less. Includes flush mount kit installed onto your table! Do you REALLY need LED’s in your poker table? Probably not. 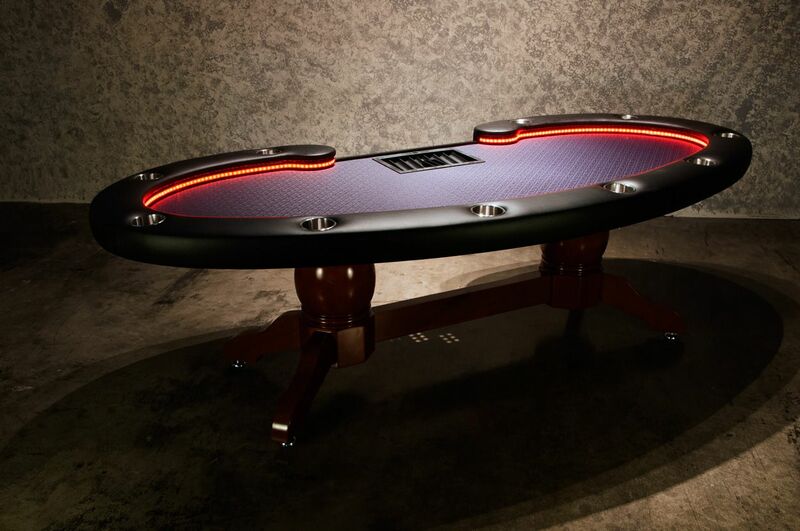 But imagine the ability to change the feel and mood of your game instantly, this is what The Lumen HD Poker Table brings to your game. 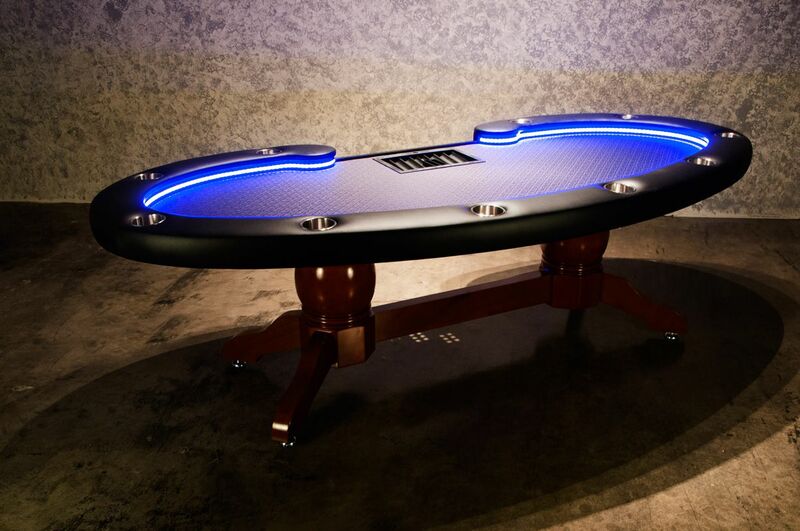 A spacious (101.5in x 46in), ten player plus dealer “kidney bean” shaped poker table that is accented by its signature, remote controlled waterproof LED trim. Solid wood “Napa” pedestal legs gives the Lumen HD a strong stance with a clean look which does not overpower the beauty of the gaming surface. Fully customizable including cupholders, dealer tray, drop box - the playing surface is easily customized and accessible for maintenance. 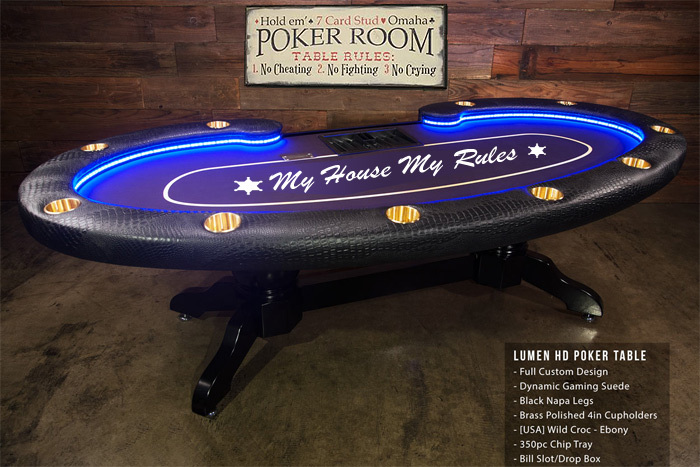 The Lumen HD is a casino quality poker table that will stand up to 24/7 play and countless compliments.